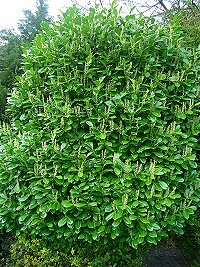 The Cherry Laurel is an evergreen shrub with shiny and leathery green leaves. It flowers in April, with white spiky florets growing along stems up to 10 cms long. These are followed by small black fruits. 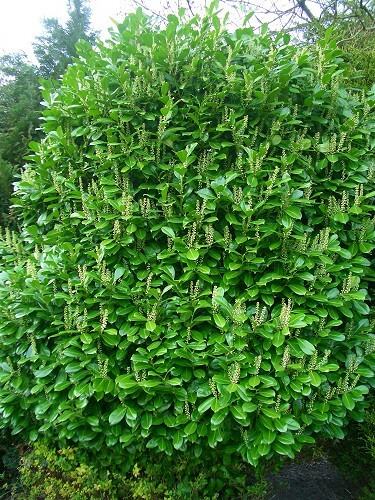 This is a very useful shrub for hedging and screening since it is dense and fast-growing. 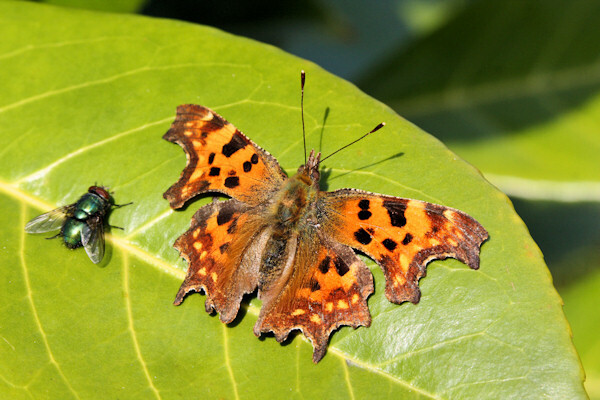 On a sunny day there are often butterflies and other insects sunning themselves on the leaves with their wings outspread, like the Comma butterfly below. 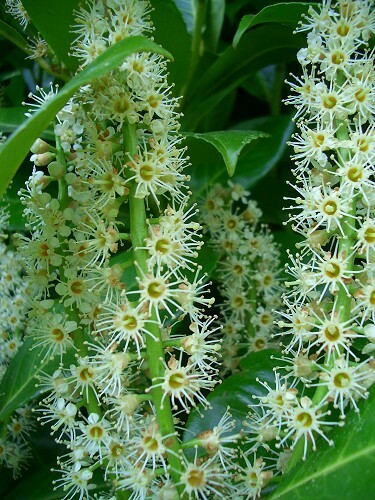 Cherry Laurel Water is made from crushed leaves and is used for medicinal purposes.